(Ver 1.3) We have explored a lot of information, and probably left out a lot of information. It is almost impossible to fully cover any subject in the Bible, because no one knows everything about any subject in the Bible, except for God. I have already given you a lot of information that the type of Ruth appears to correspond to the spiritual characteristics of the church of Jesus Christ. We have also seen that Boaz appears to be a type and pattern of the spiritual savior and redeemer Jesus Christ, the Son of God. There are a lot of Christians who do not understand these types and Old Testament patterns and even some preachers who teach against these symbols being Christ and the church. I have heard many internet bloggers and teachers try to convince people that Israel is the Bride of Christ and they are the woman who is married to Jesus. These teachers further claim that since the Bible says the Church is the Body of Christ, we are also the husband to Israel. I do not know how people can be so ignorant and come up with such wild and crazy theological theories with such broad holes in them, but they do. Opinions like these do not hold water when analyzed using the Bible correctly, and they do nothing but promote confusion in the church, which is what Satan wants to happen. If you have not read this series of lessons from the beginning I would suggest that you go back and start with “Part 1“. First of all, we need to remember that Ruth was a Gentile and that is obviously the first problem with this erroneous interpretation of Israel being the bride of Christ. A gentile is not a natural Jew or a descendant of Israel. Ruth was a Moabite and a descendent of Lot, Abraham’s relative, but clearly not Abraham. While reading the book of Ruth it is very difficult to see and know everything and what applies and what does not apply to each of the given types and shadows. God selects natural events, peoples and places in the Bible to represent future spiritual patterns that will occur. However, the natural people, places and events do not always fit exactly and perfectly with what we know at this time. So it becomes difficult to understand how they all fit completely together. 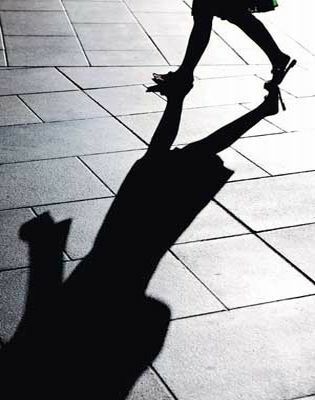 Much like a shadow being cast on the ground by the bright sunshine, a natural object makes a recognizable pattern on the ground, so it is with Bible types and shadows also. The spiritual shadows found in the natural things of the Bible leaves out most of the details of the original person that is causing the shadow. This is just how Bible types and shadows are. They represent broad strokes without a lot of details. God only inserts a few clues to show you how they are representative of the real spiritual realm. I hope you understand this concept going forward. Because a lot of the details are omitted and the fact that we do not know everything, we can only see the parts that are revealed by God. Let’s start today’s lesson by listing the primary themes and patterns that are found in the book of Ruth. I will list these in no particular order, and give you a brief description of what I think they mean and then we will look at how to apply them. Life and Death Elimilech and his sons all die. Death is said to be a separating force. Death is also the beginning of the problem and the answer can only come from the living. Families A central theme in the entire book. The story of one family’s struggle with life’s difficult circumstances. Hunger and Famine The lack of food causes people to do things that they would not normally do. Widowhood The only legal separation of the wife from her husband. The Law The rules of God based upon the wisdom of God to help man learn what to do. Faith and Faithfulness Faith is believing in something even when it looks like it is not true. Faithfulness is remaining loyal to someone or something even though it does not look like the best choice at the time. Humility The opposite of pride. A humble person always obtains the favor and the grace of God. Wheat Harvests A crop of intentionally planted seeds. Passover A specific time of the season for remembrance and the partaking of a covenant meal. Near Kinsman A relative that is living who is legally qualified to become your redeemer. Love The central theme of all of the Bible. Grace That which is given to us freely, even though we do not deserve it. We partake of God’s grace by our faith. Redemption The act of restoring one’s possessions back into your legal ownership. 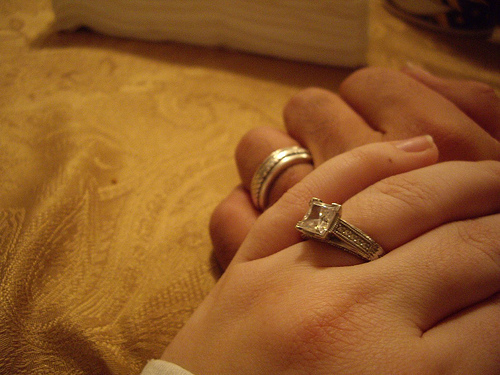 Marriage A covenant between a man and a woman. The two shall become one flesh! Children The reason for redemption. To raise up an heir and a name for the dead. 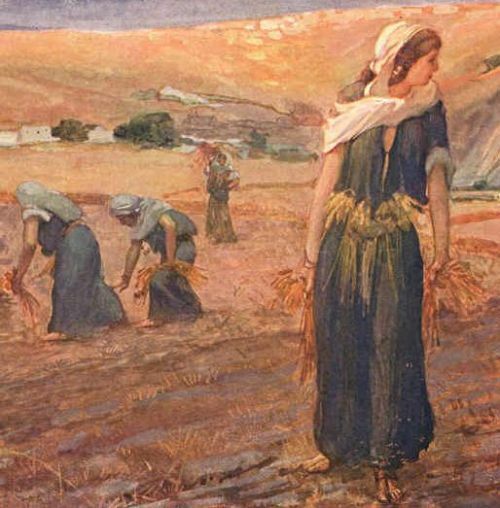 In reading through my list of the primary themes found in the book of Ruth, I hope that you can begin to see how they fit into the spiritual picture of Christ and the church. Now let’s list the primary people and places found in the book of Ruth and see if we can determine who they possibly represent by looking at the definition of their names from the Strong’s concordance. These are most of the primary characters and places revealed in the book of Ruth. As you can tell by reviewing the list we still have a lot to learn. Let’s start near the end of the list first with BethlehemJudah. Places are often times used in the Bible to signify a spiritual state or a realm of existence. BethlehemJudah as it is called in verse 1 of Ruth 1 is like I said before the place where the descendants of Judah lived. When Joseph and Mary were about to have the Baby Jesus, they were required to go to Bethlehem, because they were of the lineage and descent of King David who came from the House of Judah. Because of the command of a census they were required to travel to their home city. Thus Jesus was born in the prophesied location, even though his parents did not live there. That was a very tricky thing for God to accomplish. If you recall, the Jews thought Jesus was from Nazareth and thus missed the coming of their Messiah. We can conclude or at least assume that the story of Ruth is related to Jesus, because of this given location. Most of the time names of people and places in the Bible have meanings attached to them. Many times these names help to reveal the characteristics and types of the spiritual realm entity that they represent. Often times the meaning of names contains clues that are definitely important to understanding the meaning of the story. Judah is a Hebrew word that means several things and has vast implications attached to it. Judah comes from a word that means “to throw with your hands”, it also has implications of reverence and worship as in to “praise”. In other words to “worship” with “extended hands”. Bethlehem as we have already seen means “the house of bread”. We can see that the word “house” means a family of relatives. The term bread means “food for men”. Are you seeing anything that sounds familiar? Jesus said He was the bread of life. So we must be talking about the family of God in this story of Ruth. Judah represents the people who praise God, who are part of the city and the family of God. Moab is of course much more difficult to get people to see, because they have really given it no thought or study. Moab was the incestuous son of Lot and his daughter. Moab the son of Lot was also a brother to his mother. Moab was both the son of Lot and the grandson of Lot and all of this just complicates things. The term Moab means “the mother’s father”. The region of Moab was where Elimilech traveled when he thought there was no food in Bethlehem. These were people who were not in covenant with God and were not the children of Abraham. So we can see that this has an implied meaning of those outside of the family of God. This could be representative of the unsaved world and the people in it. Ruth of course was a Moabitish woman and therefore came from the realm of the unsaved to be married with the savior. Moab is mentioned more than 100 times in the Bible and most of the time it is not a positive place or reference. Moab is usually a better place to be from than a place to be living in now. We can understand this is a picture of the Bride of Christ. Those who have come out of their Moabs and now live in the House of God’s Bread of Life. The type of the church is a very good picture of those who have come out of false gods, to know the true living God. Ruth is a great type of this picture and I believe this is why God put her in this book of the Bible. Jesus clearly speaking to the future church calls them His friends. Do you think this was an accident or a coincidence that Jesus did this? I definitely do not think so. I believe it is a clue that represents a connection to the book of Ruth and helps to identify the symbolic reference to the bride of the redeemer. We know that Ruth exemplified certain qualities in the Bible that are related to those of the church today. The primary quality that qualifies Ruth as a type of the church is “faith”. Ruth trusted in a God she did not know and God came through for her above and beyond her expectations. Next, the quality of “faithfulness”. Faithfulness is related to faith, but yet still different. To be faithful to your spouse is what Ruth was to Naomi and eventually to Boaz. The third quality of Ruth that qualifies her for the type of the church is “humility”. The true church should be humble in their attitudes and come with respect and reverence towards their Savior. Humility is the opposite to pride, and pride was the downfall of Satan. By remaining humble before, God you are qualified to receive the grace of God. Boaz has a name that has no direct definition attached to it so we have to use his title to help us identify his spiritual position within the story. We saw earlier that Boaz was called the Kinsman Redeemer. That means a near relative who redeems. That is exactly what Jesus is. Jesus left heaven and became a man just like one of us. Because of Jesus’ unselfish acts of kindness and love we have salvation made available to us. We can clearly see in the N.T. that it talks of Jesus being the redeemer of the church. He has bought us out of a situation that we could not solve ourselves. This was exactly Ruth’s situation in the O.T. As you recall Ruth was from Moab and that represents the unsaved natural world. The church is said to be bought with a price and we have become his property by the purchased price of His shed blood. This is exactly the transaction that took place in the book of Ruth. Boaz redeemed the property of his dead brother and also bought the woman Ruth to be his wife in the transaction. This is what God did, God’s idea, God’s plan of redemption, God’s system of salvation. To men, it does not make much sense, but to those who can see, it is a great plan. Boaz is called a near relative, Jesus you could say was our near relative. Because Jesus became a man, like one of us, that qualifies Jesus to be our redeemer. Boaz denibstrates grace and extends favor to his future bride when she is unable to do anything to save herself. This is also a perfect picture of Christ and the Church. By Grace are we Saved through Faith. While the Bible is very complex, it does present us some clues to the relationship of Jesus and the church. There are specific verses found in the Bible that declare the Gentiles will trust in the coming Messiah. Ruth obviously trusted in Boaz enough to lay by his feet on the threshing floor. Ruth put her confidence in her redeemer and this was a picture of church to Christ. The Root of Jesse is again a reference to Jesus Christ our redeemer. The reference is given to us in this verse that the Ruths of the world will seek after Him. In reading the story of Ruth, you notice that Ruth goes from a poor widow field laborer to a woman married to one of the richest men in the city. Do you think Boaz’s rest was good for Ruth? How does the wealth of Jesus compare to that of Boaz’s money and possessions? Speaking of Jesus, in Matthew, the Gentiles put their confidence in Him. This is the church to their redeemer. Isaiah 11:10 is also quoted in Romans 15:12 and declares that the Gentiles have put their trust in their Boaz. The Bible tells us in John 3:16 that “God so loved the world that He gave His only begotten son….”. We could say it in another way also, that “God so loved Ruth from Moab that he gave His Boaz to redeem us…” and all I did was change the names to the symbolic names found in the Book of Ruth. We can easily see that Boaz was motivated by love when he did what he did for Ruth and Naomi. Because of Ruth’s faith towards God she is now the wife of the savior and redeemer. A marriage in the Bible is a covenant in the eyes of God and a covenant is a marriage. You can see this revelation clearly by examining verses found in Jeremiah31:32 and Malachi 2:14 to name a couple of the obvious verses that you can find and read in the Bible. So far the picture of Ruth as the church and bride fits with other verses in the Bible that state Jesus is the bridegroom (John 3:29, Revelation 21:9). Elimilech is a very specific Hebrew name that means a very specific thing. The name “Elimilech” means “God of the King”. Right there is where the difficulty begins for most Christians. That is a Hebrew word that has the name of God “Elohiym” joined to the Hebrew word for “King”. This of course has widespread implications written on it everywhere. As you recall from the book of Ruth, Elimilech dies. So who in the Bible is the “God of the King”? David was a popular King in the Bible and the God of David was “Elohiym”. Maybe we should start with who is the real King? Our King is said to be Jesus Christ. Jesus is called the King of kings (Rev 19:16, Rev 17:14). David was told by God that one of his descendants would sit upon the throne forever as eternal King. Jesus also qualifies as a Son of David for this position. So we can fairly easily conclude that Jesus is the King. Who is the God of Jesus? You can begin to see the difficulty starting to get much deeper now and much harder to understand. Jesus was God and there is none beyond or above Him. God is the only true and living God. We can begin to see glimpses into the complexity of God’s manifested and revealed natures and personalities. There is God the Father, God the Son abd God the Holy Ghost and yet these three are all still One God. So anyway Elimilech must represent God just using the name’s definition. But, how is this possible? It is technically not possible for God to die, however if God does not die for our sins, our sins are not forgiven. Thus we have a paradox and a puzzle presented to us from the Bible. Jesus Christ was the Son of God, yet at the same time he was God in the flesh. So whatever happens to Jesus, happens to God. This is just basic logic using the verses that we have covered. If Satan and the Jews hang Jesus Christ on a cross, they are hanging God himself on the cross. Do you remember what Jesus said in a parable about killing the “heir”? (Luke 20:14) Jesus tells of a field that has been let out to a husbandman and the owner of the field sends servants to collect of the fruit, but the come away empty. Now, finally the owner of the field sends his son, saying they will respect him, but they do not, instead they kill him because he is the heir. By killing the Son of God, they think they have possessed the inheritance. Instead they have sealed their fate. It is important to note that Elimilech in this story represents God who dies. Through His death a redeemer is now required. The Redeemer is of course also God. Naomi is called “Pleasant” by the meaning of her name. Since she is married to Elimilech who represent God the Father, then we can conclude very easily that Naomi is an allegorical represention of the people in the natural Nation of Israel and those under the law. Naomi represents the Old Covenant of God. The female wife of the Old Testament God of Abraham. She knows the law and uses the law. In the book of Ruth Naomi is the mother-in-law to Ruth and she tells her what to do based upon her knowledge of the law to get her redeemer. This again is an exact picture of the early church. Do you realize that the only Bible the early church had was the Old Testament? Jesus taught exclusively from the text from these O.T. books. Peter taught from the O.T. in the book of Acts. The New Testament contains a whole bunch of quotes from the Old Testament. What God did was finally reveal the true meaning of the Old Testament to the church. Before, the church came along the O.T. was a giant spiritual puzzle of information that no man could understand. However, the New Testament is written largely from the revelation given to Paul and the other apostles about the things that explain what the O.T. really means. However, it also gives us a pattern that God can still hide more information for us to discover, even today. As you can clearly see in this scripture in Jeremiah, God says that His Old Covenant was a marriage to the people of natural Israel. God is said to be their husband, they are implied to be the wife. We can therefore conclude that this is a revealed pattern of the New Covenant also. 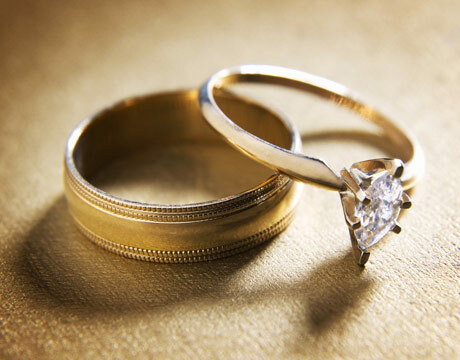 If one covenant was a marriage, the other covenant is also a marriage. One to a natural people, and the other to a spiritual people. So Naomi was married to Elimilech and Israel was married to Elohim (God). Naomi became a widow after her husband died, and so did Israel. So it still is a little bit difficult to understand, I know. We know that Ruth is faithful to Naomi and this seems to be a perfect picture of the Church’s continued faithfulness to the nation of Israel even today. It seems that the whole world wants to destroy the nation of Israel, except for a few that are controlled by a predominate Christian presence. The hatred towards the nation of Israel is extremely unique among all nations. I do not recall any other nation being so easily maligned and attacked in so many different ways. It is noteworthy to mention that the nation of Israel receives support from the Christians of the world and this is a picture of Ruth. Just as Naomi benefited from Ruth’s marriage to Boaz, Israel benefits from the church’s marriage to Jesus Christ. However, it is still important to note that Boaz was not married to Naomi, only Ruth was in covenant with Boaz and this is how the New Covenant is today also. Jesus Christ, the risen Son of God is in covenant with the Church and not natural Israel. Israel can receive benefits from the church’s relationship, but they are required to be born again and join the same church for salvation as everyone else. The Bible says that Israel is being provoked to “jealousy” (Rom 10:19). What make you jealous? What makes women jealous? Other women make women jealous. Jealousy occurs when someone has something that you do not have. The church now has a better covenant with God, that Israel does not have anymore and this is the point of jealousy. God prophecies something in Hosea that is very profound and reveals the coming jealousy of Israel. Israel who were God’s people are now said not to be God’s people. Yes or No? Of course that is what it says, whether you like it or not. The nation of natural Israel who was the beloved wife of God, is now not the wife of God. These are physical vs. spiritual truths being presented to us. God is saying that I will make a New Covenant with a people that were not my people and now they will become my New Covenant spiritual people and my new beloved wife. This is the picture of Ruth and Boaz given to us in this story of love and redemption. In this chapter of Romans, God is speaking directly to the natural Jews and not the Gentiles. Why is that important? Because the natural Jews were married to God in the Old Covenant and if they now married another man with their first husband being alive, they would be in adultery. This is of course a very tricky thing to think about. God is a spiritual being and it is impossible to kill a spiritual being. That is why God became a natural man. By becoming a natural man, God can experience death. As you can see in Romans 7:4 it says very clearly that because Jesus died, they are now legally free to “marry” another husband. This is a picture of the risen Jesus and the New Covenant. Did you realize that the New Covenant is with the Risen from the dead Jesus and not with the natural Jesus who walked the face of the earth as a natural human male? Did you realize that this is an important fact to know? The risen from the Dead Jesus is an eternal being and now a permanent member of the Godhead. So the difference between Jesus the natural man and the risen Jesus, is that the natural man was born of a woman as a mortal man who could die and the risen Jesus cannot die anymore. The risen Jesus was born of the Spirit and He is the Immortal God Man. There are some big differences between the two. I know that Jesus our savior was God in the flesh, but yet He was not God in His full Omnipotent Powers, or it would have been impossible to kill him. Jesus was a man that was able to be killed and that is not God in His FULL Deity Power. So did God die? If God did not experience death then you will soon have to experience it and you won’t like the end results. We know that “through death he (Jesus) destroyed him that had the power of death (Satan)” (Heb 2:14). So it is important to note that Jesus died physically and through his death he accomplished many positive things for us. This story of Ruth is a natural example of a spiritual truth that has occurred and is occurring already in the spiritual realm. We the church are gleaning and gathering in the harvest of God’s spiritual crop of people in the world which is God’s harvest field. You see in the book of Ruth, the woman works the field to bring in a ripe crop. This is all typological to the story of the Church reaping the harvest of God’s precious fruit that He is still waiting patiently for. There will come a time when the harvest is over and that is a day of grave consequences for many, yet that is the reality of God. Jesus told us in Matthew 9:37 that the “harvest is truly plenteous but the laborers are few”. God is of course not talking about a natural harvest, but a spiritual harvest of people. Jesus taught numerous things about spiritual things, using crops, fields, seeds and laborers. You should go and study all of these and see how they relate to the story of Ruth. I believe you will find them very important to know. This was the book of Ruth and while we did not attempt to go into every detail or every type given, I gave you enough details to get you started. I will leave you with this thought. If Ruth does represent the church and Boaz does represent the Risen Jesus Christ. Why did Boaz marry Ruth? To raise up an heir for the dead. Boaz has a son through Ruth, called Obed, God’s servant. Who died? God died, Adam died, Jesus died to name a few obvious choices and candidates. Jesus the eternal God Man now resolves two primary spiritual and natural problems. By Jesus’ death on the cross, God is now free from every previous covenant relationship, whether this was Israel, Adam, Abraham or Satan. By the Risen Jesus establishing a New Covenant that is said to be better, man’s eternal separation from God has also been resolved, if you want to receive it. In the Book of Ruth, Ruth has a child that is the heir of the dead man’s family. If Jesus is the husband and the church is the bride, you have to see that God will have a spiritual child through his new wife. This child has to be the Spirit of God, since the church is a spiritual woman and Jesus said that which is born of spirit is spirit (John 3:6). So we can see that the church must be going to have a child some day that will become the heir to everything that is or was in the spiritual and natural realms and the ownership of both of these realms will revert completely and totally back to God forever. We can see a prophetic view of this woman and this child in Revelation 12. This is the end and the demise of Satan’s future and represents his destiny under the heavenly Judicial system and the law of God. This of course is all new stuff, so I anticipate it will be difficult for you to accept. I would recommend that you not throw it away, just because it is new and different. At least study it and see if it is true. Thanks for studying the Book of Ruth with me. God Bless.